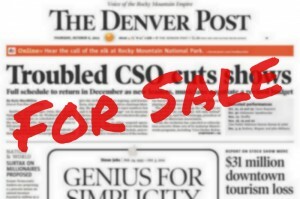 THE DENVER POST Newsroom Guild representatives and management met Wednesday, Feb. 15, to continue collective bargaining talks. We spent the entire session discussing what criteria could be used in the event of a layoff. We looked in more detail at the factors used by the San Jose Mercury News (mentioned in the Feb. 10 bargaining update, which also has some great comments). One major concern on the Guild side of the table is that any criteria used for layoffs needs to be as objective as possible. We also discussed how any factors used for layoff criteria need to be mirrored in regular performance reviews. Both sides agreed that regular reviews, if done correctly, can give both managers and employees a more objective and honest understanding of the employee’s strengths and weaknesses, as well as expectations. We then decided that, rather than getting into details about criteria for layoff, we should first focus on criteria for performance appraisals — and a system to implement them — that would be the foundation for any kind of layoff scenario. Please be aware that the layoff criteria option we have been discussing is one of several options we will explore during bargaining. No one, on either side of the table, has signed off on anything yet. Our next bargaining session will be Feb. 23. Our leaders better damn well better not cave on this seniority issue. I’ve never had a performance review at The Denver Post, and I’ve worked here for 12-plus years. There were some meetings about “Management By Objective” a few years ago. No follow-through. Why is that? I always thought it was because management didn’t want to waste the time, because it felt the only purpose of a review was to prepare to fire you — not to motivate or reward good work. No major metro I’ve worked at has been worse (though few are good) at managing, motivating, training, and knowing, its own people. I don’t have faith in The Post’s ability or motivation to construct a fair, objective, transparent evaluation process that values the paper’s creative people as the flexible, dedicated, passionate, irreplaceable resource they are. We don’t have enough bodies to do the “remaining work” right now. But we’re always astonished when we lose another one. Don’t believe for a minute that they don’t already have their list of people for future layoffs, mostly the better-paid senior employees. It’s all about the money, not the experience. A first-year employee will do whatever they ask without question or discussion simply to remain employed in a tough market, individuals who 10 years ago likely wouldn’t have gotten in the front door. Anything that caves on the seniority issue for layoffs will most certainly split this union, an extremely bad idea that the company is very much in favor of doing. Credit to the negotiating committee for seeing the potential value of performance reviews. While no review system is going to be perfect, this is an opportunity to clearly define job expectations and set goals so everyone knows what it is valued and how it’s measured. We are in the midst of great changes in how we do our jobs and this could help bring clarity. The best performance reviews are conversations, not sermons. And if rank and file are going to be reviewed, managers should be reviewed, too. These kinds of evaluations – if done well – have the potential of improving both the quality and bottom line of the Post, which could make layoffs less likely. Thanks for the feedback. I just want to ask, though, that as we go through this process we all try to be as respectful of each other as possible. You’re right that this issue has the potential to split the union. That is particularly true if people are posting comments that may be disparaging of or that question the abilities of more recent hires – or about anyone else in the building, for that matter.